Happy 4th of July! 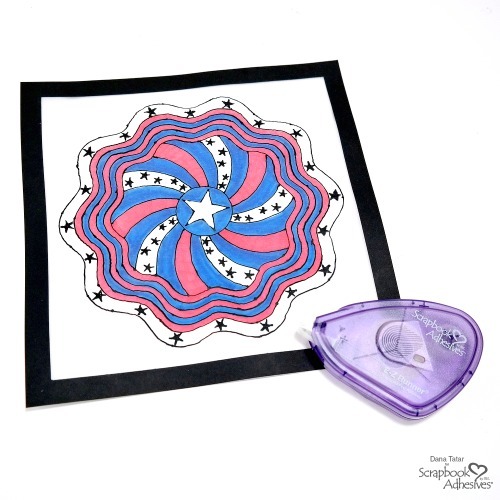 Dana Tatar here today sharing a fun kids craft tutorial that uses black glue and markers to create a patriotic art mandala. 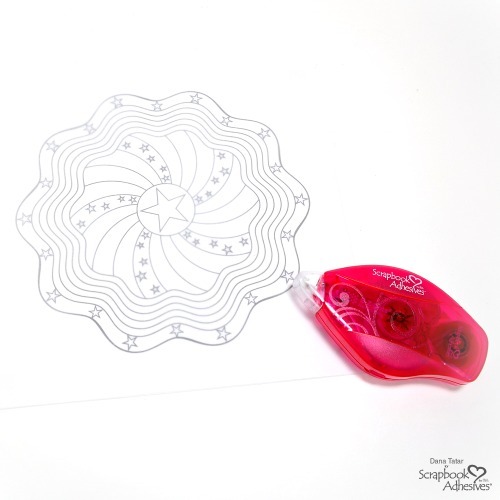 Keep the kids entertained during your holiday celebration with this craft project that mimics the look of stained glass. 1. 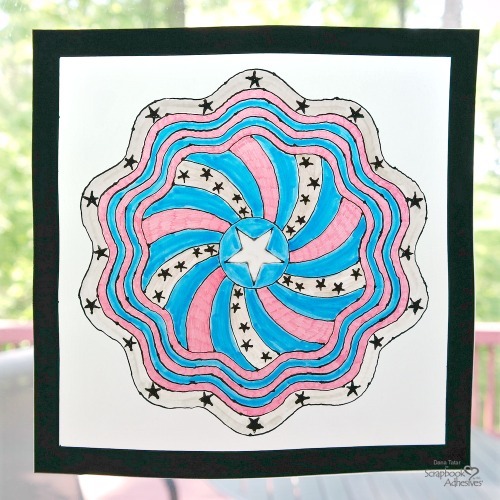 Select a printable mandala patriotic image or draw an original design. 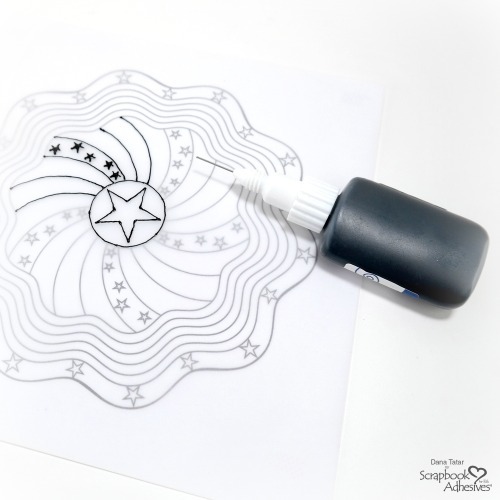 Use E-Z Dots Repositionable to secure a piece of vellum over the patriotic design. 3. Apply black glue to the vellum, tracing the patriotic design. Work from the center of the design and progress out towards the edge of the paper. This formula is quick drying. Once I reached the outer edge of the design the center was dry. Let the design dry completely before proceeding to the next step. Save time by completing this step before any festivities. 4. 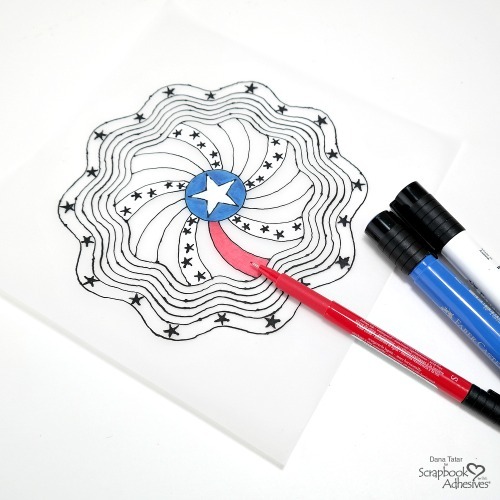 Use red, white, and blue markers to color the design. Watercolors would also work for this step. I’m a stickler for coloring inside the lines. 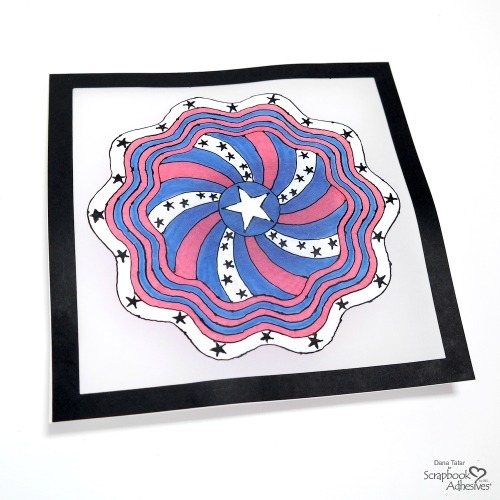 To make adding color to this design easier I applied color to the back side of the vellum so that I could color over the black glue stars in my design. 5. Cut a 1/2 inch cardstock frame for the artwork. Attach the frame to the vellum with E-Z Runner® Permanent Fine Adhesive. 6. Display finished mandala artwork in a window to catch the light. Try this project using a favorite color of acrylic paint for a totally different look. 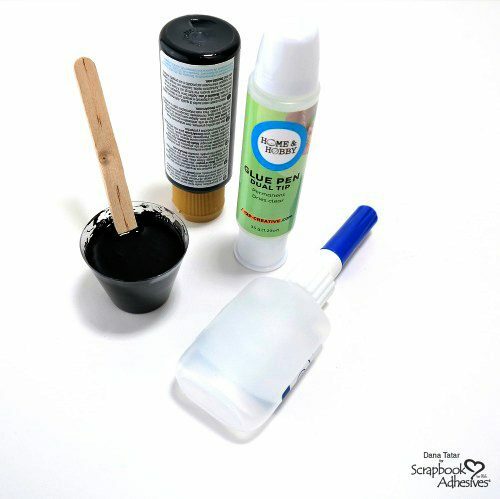 If you love adding sparkle to your projects, check out Terri’s recipe for Homemade Glitter Glue. This entry was posted in 3D Projects, Adhesive Dots & Lines, Beginner, E-Z Runner® Dispensers, Home Decor, HomeHobby by 3L, Mixed Media, Party Favors, Permanent Adhesive, Seasonal Craft Ideas, Skill Level, Summer, Tutorial, Wear your Adhesive on the Outside and tagged 4th of July, Dana Tatar, Dual Tip Glue Pen, E-Z Dots Repositionable Refill, E-Z Runner Grand Dispenser, E-Z Runner Grand Repositionable Dots Refill, E-Z Runner Permanent Fine, Home Decor, HomeHobby by 3L, Kids Crafts, Patriotic, Tutorial, Vellum. Bookmark the permalink. 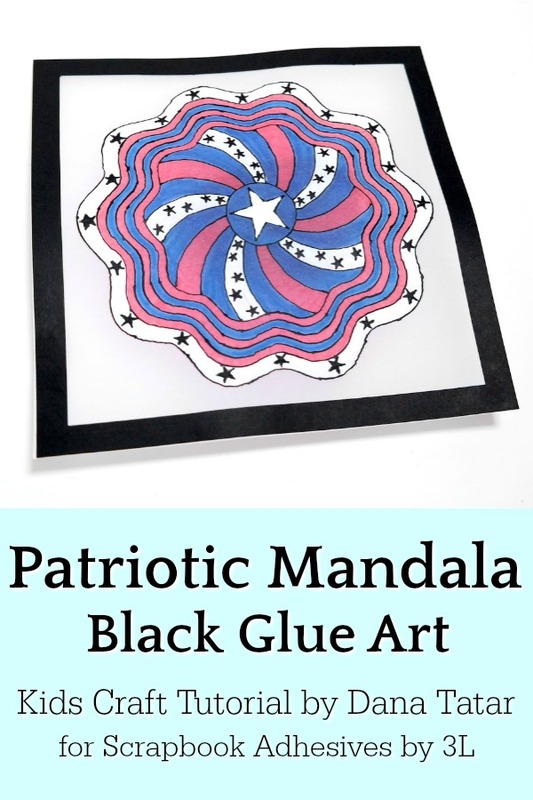 One Response to "Black Glue Patriotic Mandala Art"
This is sooooooo awesome!! I love it!!!! !